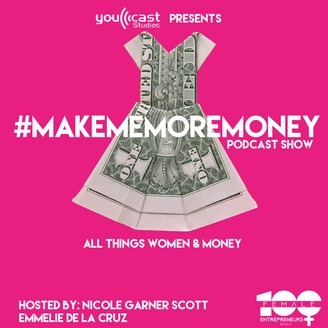 On each episode of #MakeMeMoreMoney, 100 Female Entrepreneurs Inc. founder and serial entrepreneur Nicole Garner Scott joins forces with social media expert Emmelie De La Cruz to transparently talk all things women and money. We noticed that women will talk about everything under the sun, from relationships to life troubles, but talks of money are still somewhat taboo. With this podcast we aim to put money talks front and center, interviewing female entrepreneurs that have created true wealth and don't mind sharing their honest steps to success. Expect hilarious guest appearances and candidly frank conversations that you won't hear anywhere else as our goal is to help demystify the #MoneyGame one recording at a time. www.100FemaleEntrepreneurs.com. Jamillah Rahmaad of JR PR (befriendyourbrand.com) joins the podcast. For more information visit www.100FemaleEntrepreneurs.com. 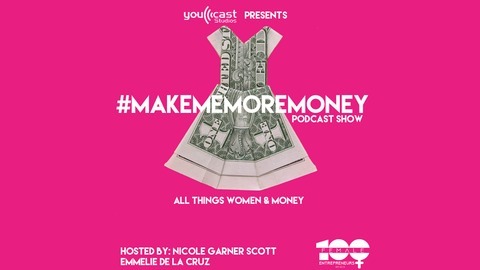 Hosted By: Nicole Garner Scott@IamGarnerScott & Emmelie De La Cruz @EmmelieDeLaCruz, available on iTunes and Google Play.